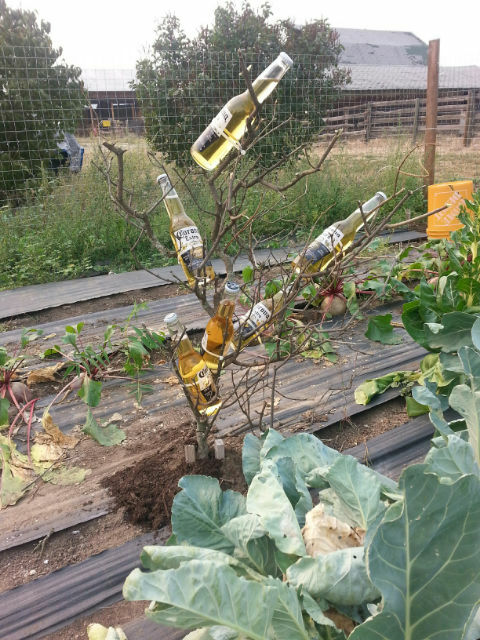 Andrea’s brother, Gordon, planted some empty Corona beer bottles nose down in our garden. We did not see them until after he left. 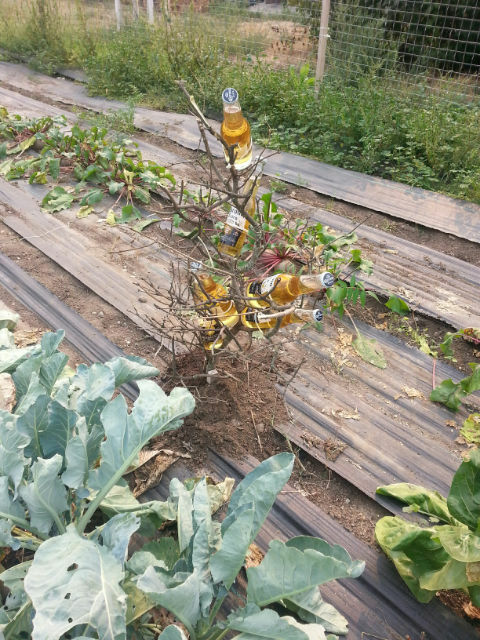 Andrea asked him why he did that and he replied, ’cause I thought some beer trees might grow, I’ve been trying for years. Well this week he came down for a visit with his wife Colleen. The went for a walk out to the garden and this is what they saw. He enjoyed the harvest and the feeling he’d finally succeeded.